The IMAX release of Life will be digitally re-mastered into the image and sound quality of The IMAX Experience® with proprietary IMAX DMR® (Digital Re-mastering) technology. The crystal-clear images coupled with IMAX's customized theatre geometry and powerful digital audio create a unique environment that will make audiences feel as if they are in the movie. 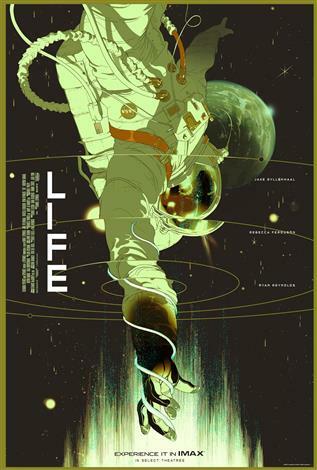 Life tells the story of the six-member crew of the International Space Station that is on the cutting edge of one of the most important discoveries in human history: the first evidence of extraterrestrial life on Mars. As the crew begins to conduct research, their methods end up having unintended consequences and the life form proves more intelligent than anyone ever expected.